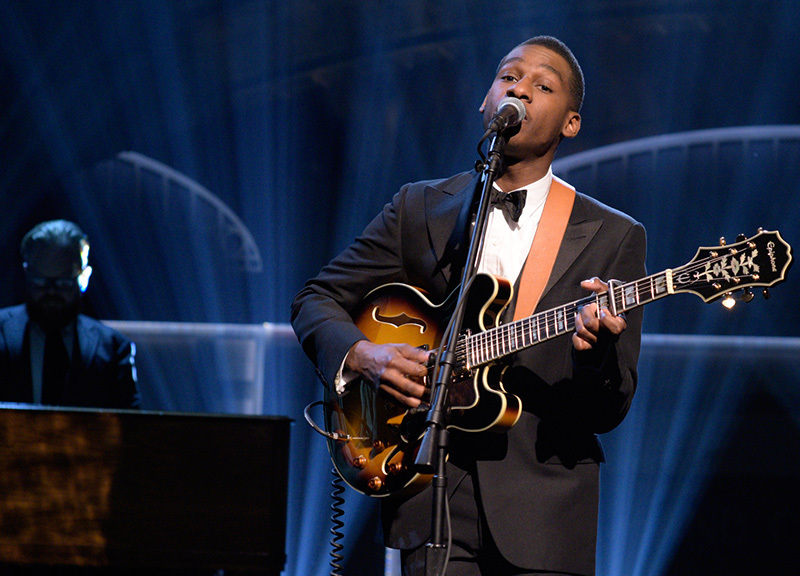 This Week, Leon Bridges Went Live. 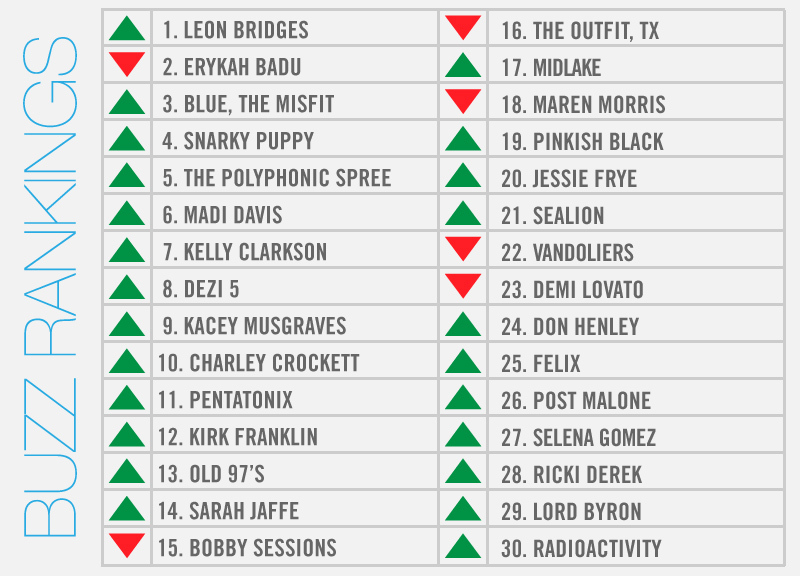 After killing it on SNL last weekend (where, yes, he also dabbed) and then earning his first-ever Grammy nomination, there was little doubt that Leon Bridges would top our weekly, local music power rankings again this week. This is his 17th win all-time, putting him in the all-time lead, just a few ahead of Erykah Badu's 14 No. 1s. For her part, Badu remained red hot this week too, trending on Twitter with her #AskErykah campaign. Also, like Leon, several of this week's list-makers — Pentatonix, Snarky Puppy, Kacey Musgraves, Kelly Clarkson, Don Henley and Kirk Franklin — too earned themselves Grammy nods. Then there are folks like The Polyphonic Spree and Ricki Derek that are throwing their big, annual holiday concerts at The Majestic and Granada Theater, respectively. And most everyone else on the list either took home a trophy at last night's Dallas Observer Music Awards ceremony and/or cropped up somewhere on our year-end best local songs countdown.